Coach Jon and I were driving back to our hotel after a recent kicking camp and we got to talking. We discussed how we’ve seen an uptick of newbie kickers with all of the recent news about brain traumas in football. Whether it’s propaganda or reality; our camps have seen a massive growth of first-time kickers this season, and I attribute a lot of that to the hysteria created with ‘fear of injury’ from playing football. Unfortunately, many parents are thinking they will just turn their son or daughter into a kicker, like a magic trick, but it does not work that way. Being a kicker (or punter) requires a ton of athleticism, and more times than not, a natural inclination to kick and use their feet (many times comes from playing soccer at a young age). Kickers are some of the most coordinated guys on a football team… they typically stay in great shape (look at Steve Weatherford – former NY Giants punter). They play a lot of golf (requires concentration, precision, coordination). They have to replicate a motion exactly the same way every time with sometimes millions of dollars and a Super Bowl championship on the line (Adam Vinatieri – former Patriots, now Colts kicker has done it the best over the years). When I hear people jokingly (or seriously) mention, ‘O, kicking is easy, I’m going to make our son a kicker when he grows up’, it somewhat offends me. It offends the few dozen professional kickers in the NFL who get paid to do it for their livelihood. Why does it offend us? Because we know just how hard you have to work to get to the top of your game and be a viable kicker, collegiately or professionally. Kicking may look easy from an outsider looking in, but the reality of it is there are so many intricacies involved in kicking a football. If you’ve been to a Kicking World camp before, you know how much instruction we cover, and that is not even all of it. There are probably 30+ components of a kick that you have to nail, exactly the same way each time, and if you don’t; you will get varied results each time. You need to master your foot to ball contact, you have to take the proper swing path, your plant foot needs to align at the right depth, width, and angle to the ball, your kicking foot must be angled properly to achieve sweet spot contact, you must remember to transfer your weight at and through impact, don’t forget to check the wind, don’t forget to use your hips, don’t look up too early, don’t bend your knee… and so on! 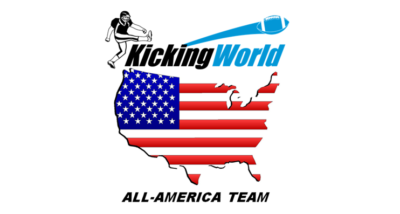 Coach Brent Grablachoff is the Owner & Head Coach of Kicking World, a performance kicking, punting & snapping instruction service with camps & private coaches in over 25 states. For more information about Kicking World or to begin training, visit www.kickingworld.com today.